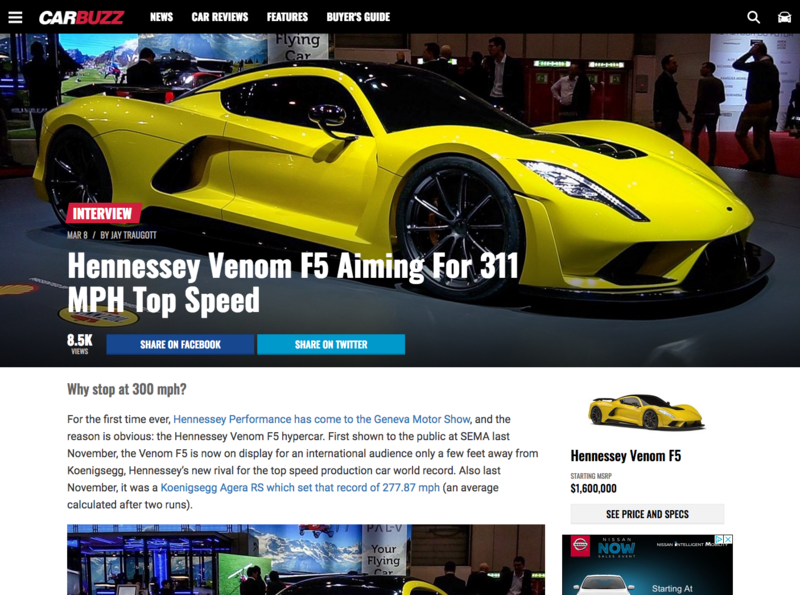 For the first time ever, Hennessey Performance has come to the Geneva Motor Show, and the reason is obvious: the Hennessey Venom F5 hypercar. First shown to the public at SEMA last November, the Venom F5 is now on display for an international audience only a few feet away from Koenigsegg, Hennessey’s new rival for the top speed production car world record. Continue reading CarBuzz’s article on their website.